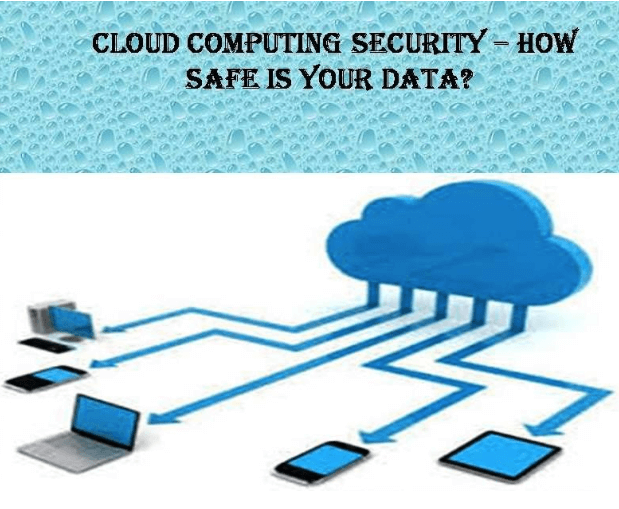 Cloud Computing Security – How Safe Is Your Data Over Cloud Based Network? Is your Company’s Sensitive Data Secure Over the Cloud Based Network? The loud benefits of vast cloud based network are being stated clearly by the creeping numbers, which reflects the encouraging year-on-year profits the companies are registering. Unknowingly, while they are busy quenching their thirst for increasing productivity and net profit, but they are at times making their data vulnerable and more exposed, if not stringently protected by using cloud computing security measures. This has become almost a usual scenario with major corporate moving to cloud too swiftly, and clinching a perfectly safe deal to access cloud based network resources for expansion always carries the risk of vital hidden security protocols and gaps which are often not highlighted by the cloud based network service providers. They don’t even care to bring those gaps to your notice deliberately to just promote and inflate their sales numbers. Thus, the need for cloud computing security is becoming a global requirement of sorts for almost all organizations contemplating migration to cloud based network. CASB solutions are coming as the way forward to protect confidential data, ensuring data safety and regulatory compliance that is the need of the hour, and address privacy concerns while working with the cloud based network. This demand for CASB solutions is increasing globally, and many companies have already adopted these strategies to protect their cloud data. So, organizations must think twice before migrating their data to Cloud, if their ends are well protected and interests safeguarded. The regulatory laws and compliance protocols laid by various industry leaders and law enforcement agencies play a crucial role while defining and pinpointing the gaps and also laying the safety norms and protocols to be implemented to protect and secure data from any untoward cybercrime or any security breaches. Regulatory compliance to ensure privacy is being considered the driver of almost 55% of enterprises working on Cloud computing, forcing them to adopt various data privacy policies governing their data over cloud based network. While compliance is the basic framework which is mandatory, data management and storage are other two virtues to define a true cloud security policy for an organization. Now, more and more organizations are head-on with this challenge of keeping the keys with them to only be able to unlock that private and sensitive data that is sitting on the cloud. Thus, there is ever-growing demand for CASB solutions, which can provide access restriction policies, and at the same time, provide safety of data with each transaction over cloud. In a multi-cloud environment, this security threat is amplified to manifolds, thus requiring a robust solution in the form of CASB solutions provided by Cloud Security Access Brokers to actually safeguard their data sitting at various locations, which is often invisible even to the enterprises itself who own that data. CASB Enter the Corporate Gates and Gatekeepers! Whether any of the organizations opt for single-cloud strategy or even multi-cloud strategy, the cloud computing security largely depends on the amount and level of data protection provided for protecting sensitive cloud data. CASB solutions provide efficient cloud security solutions offering assurance that your data is safe, secure, very much in control and meets required regulatory compliance needs and standards; even providing the highest assurances towards the same. Such security solutions are an added wing to the already existing cloud providers security aisle thus giving the ability to help companies overcome their fears about user security, compliance issues and other trust concerns they might be having about moving their sensitive data and critical info to cloud. Amalgamating the solutions or rather strengthening them to exiting and SaaS providers, these are to ensure that enterprises control well their user access. This in turn enables the firms in trusting their services with their highly valuable assets, thus providing those firms with an increased confidence of accelerating their well-planned cloud deployments. Such technology provides the highest level of assurances, thus helping companies to adopt safe cloud practices, which secure their sensitive data and confidential information over the cloud based network.